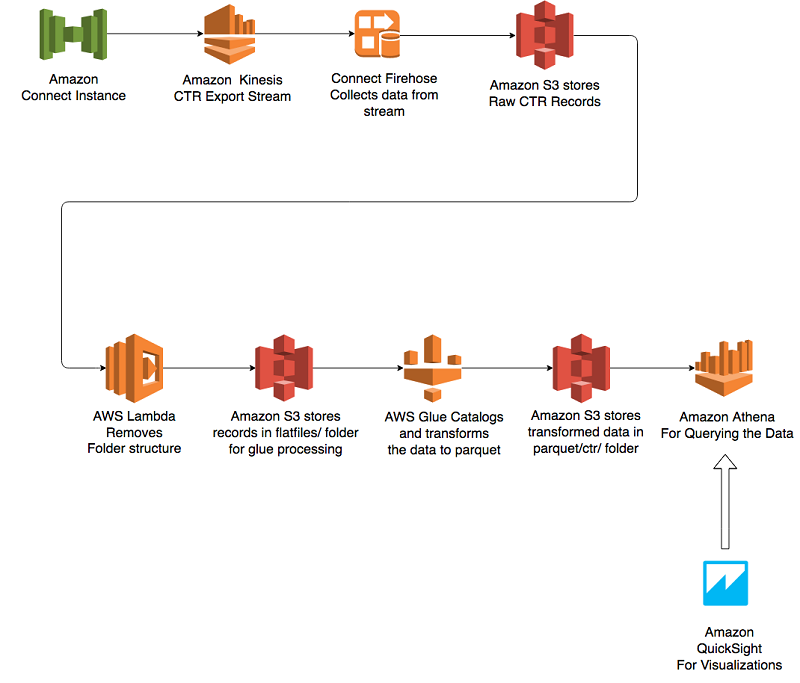 In this blog post, we focus on how to get analytics out of the rich set of data published by Amazon Connect. We make use of an Amazon Connect data stream and create an end-to-end workflow to offer an analytical solution that can be customized based on need. 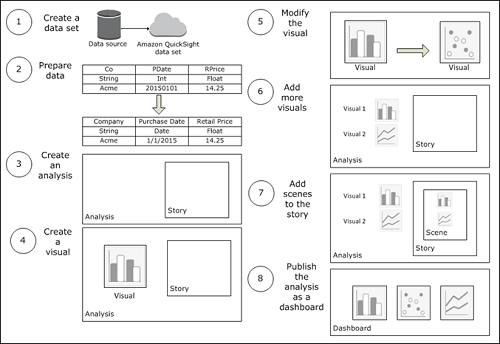 Using Amazon QuickSight, you can see patterns across a time-series data by building visualizations, performing ad hoc analysis, and quickly generating insights. In this post, I discuss how to build a solution for monitoring Athena usage. To build this solution, you rely on AWS CloudTrail. 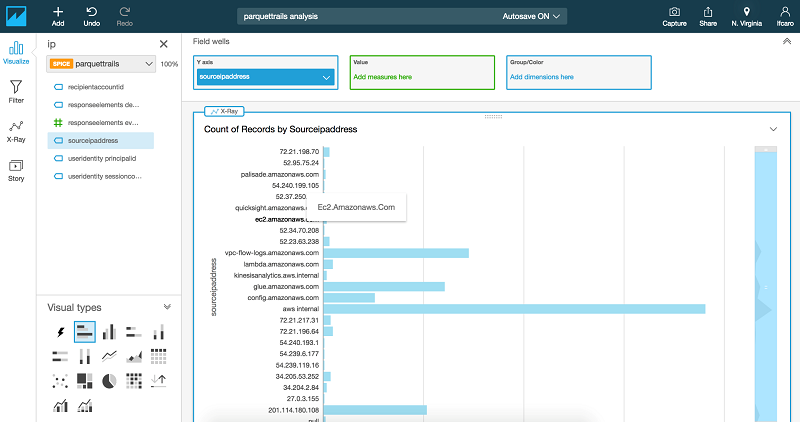 CloudTrail is a web service that records AWS API calls for your AWS account and delivers log files to an S3 bucket. 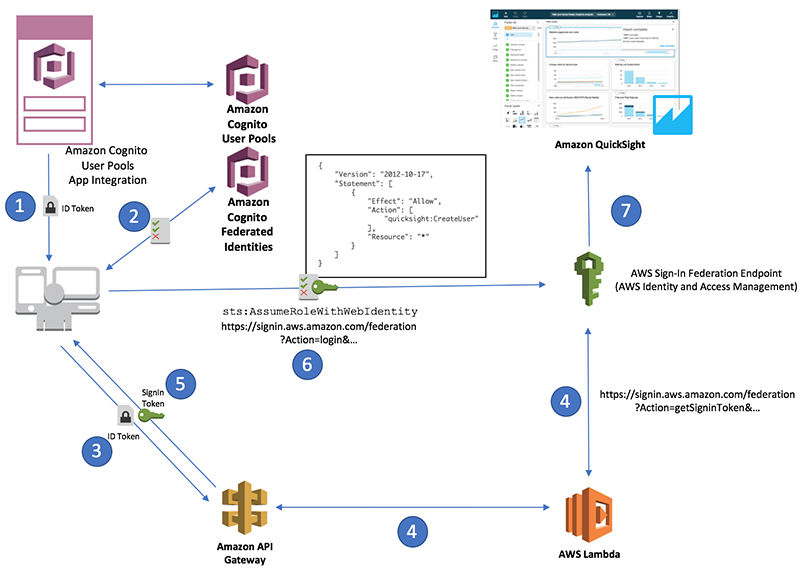 In this post, I walk through using AWS Glue and AWS Lambda to convert AWS CloudTrail logs from JSON to a query-optimized format dataset in Amazon S3. 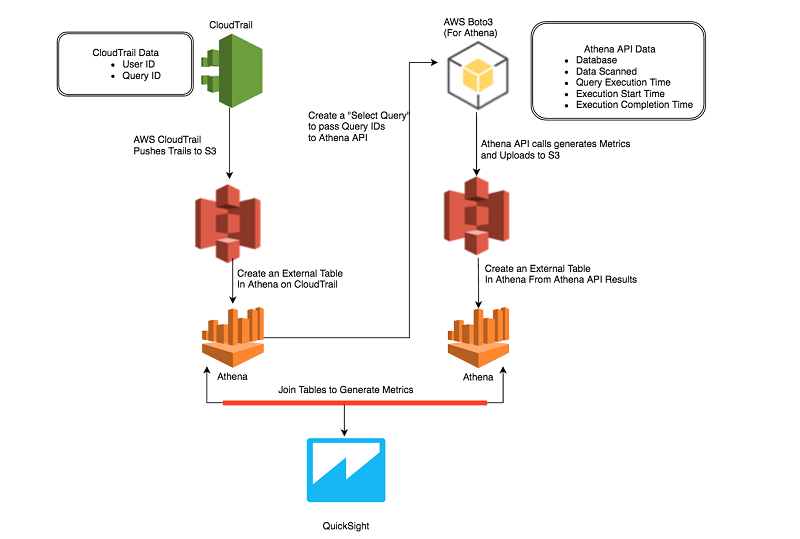 I then use Amazon Athena and Amazon QuickSight to query and visualize the data. We are excited to announce support for two new features in Amazon QuickSight: 1) Combo charts, the first visual type in QuickSight to support dual-axis visualization, and 2) Row-Level Security, which allows access control over data at the row level based on the user who is accessing QuickSight. 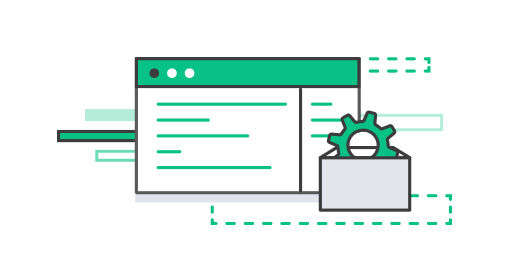 Together, these features enable you to present more engaging and personalized dashboards in Amazon QuickSight, while enforcing stricter controls over data. You can provide access from an Amazon Cognito user pool to Amazon QuickSight with IAM identity federation in a serverless way. This solution uses Amazon API Gateway and AWS Lambda as a backend fronted by a simple web app. Starting today, QuickSight will allow users to save the contents of a dashboard as an analysis within their account. 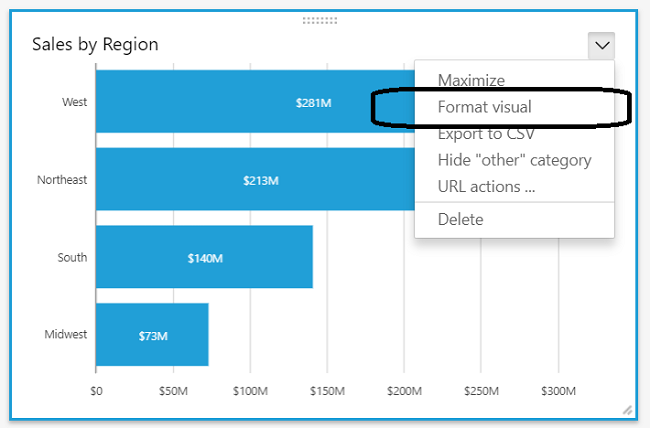 As the user of a dashboard, this will allow you to create an analysis that contains all visuals from the dashboard.